All things Man. Utd, Soccer, Football Trivia, Family and Travel. 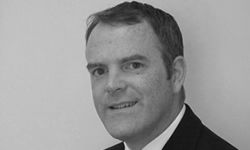 Liam has more than 20 years’ experience in the Financial Sector. He initially worked in retail banking and then joined Bank of Ireland Insurance & Investments in 2002. During his time there, he developed his knowledge of the financial Services sector, specialising in life, serious illness & pensions. Liam moved to self-employment in 2006 where her further developed his knowledge of Group Pensions, Co-Directors Cover, Keyman Cover and Pre & Post Retirement Planning. A graduate of NUIG, Liam is a Qualified Financial Adviser (QFA, a member of Brokers Ireland and the Institute of Bankers in Ireland. Travel, Family and any sport with a ball! Eamonn is Managing Director of Money Plus and his primary focus is the development of the business by continuously enhancing the client experience. After honing his craft with Friends Provident and Bank of Ireland, he entered the world of self-employment in 2006. Since then he has assisted company directors, businesses, families and private individuals alike to map out their financial planning. Excellent at building long term relationships, Eamonn is the adviser’s adviser. Passionate about small business, Eamonn sits on the National Council of ISME, its Board of Directors and has also served as national Chairman. Previously, Eamonn attended NUIG, obtained a degree in Mathematics and Economics and completed a Postgraduate Certificate in Marketing. 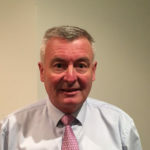 Professionally, Eamonn is a QFA (Qualified Financial Adviser) and is accredited with a Certificate in Investment Advice. In addition, he is a regular contributor to newspapers and a presenter at variety of industry events. Golf, Cycling, Swimming, Rugby and GAA. A family man who enjoys reading and travel. Paraic has enjoyed a very successful career in financial services. Both he and his existing client portfolio joined Money Plus in January 2018. The merged business entity provides an efficient network of support services that provides multiple client benefits. Paraic works with individuals and businesses providing financial advice and financial planning in the areas of pensions, life assurance, investments and income protection. Paraic also plays a very proactive role in the strategic development of the business. Paraic is a Qualified Financial Adviser (QFA) and a Fellow of the Life Assurance Association (FLIA). Golf enthusiast, Rugby fanatic and proud Limerick man! David Harty heads our Training & Services Division. 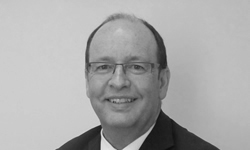 He has over 35 years’ experience providing Financial Services and F&I Training to the Irish Retail Motor Industry. In previous employments, he has held the roles of Senior Account Manager and Regional F&I Manager where he recruited, trained and monitored the development of Business Managers in key dealerships. Within these roles David led in the development and performance management of the first Dealer Technology System in Ireland. In conjunction with Money Plus, David set up David Harty Training, an F&I Training and Consultancy Business to the Irish Motor Industry. David specialises in F&I Sales Training for Business Managers and Sales Professionals together with recruitment, CPD coaching and consultancy. All training courses are fully accredited by the Institute of Banking in Ireland for CPD. He also provides bespoke F&I Training workshops for leading Financial Service Providers. Those that have attended his courses have noted his excellent presentation and communication skills. More importantly, David has the ability to influence and motivate work behaviors within a fast paced environment. Karina likes all types of sport, especially GAA. She enjoys spending her free time with family and friends. Karina graduated with an Honours Degree in Business Studies Management. After graduating Karina worked as an Adviser with a large Independent Financial Broker. Karina joined Money Plus in 2011. She manages our new and existing client business. In addition, Karina keeps the money flowing by managing our Banking and our Accounting functions. She supports and advises on the compliance matters of the business. Karina is a Qualified Financial Advisor (QFA) and a member of the Life Insurance Association. Passionate about family, travel, walking and her lovely Leitrim. Belinda’s career to date has been almost exclusively with Bank of Ireland, working in various capacities within Branch Banking. Most recently, Belinda managed Bank of Ireland Branches in Castlerea and Boyle in County Roscommon. Belinda brings a wealth of experience and knowledge to Money Plus and significantly enhances the existing Residential, Investor and Commercial Mortgage Team. Belinda advises existing and new clients, providing them with an impartial analysis of the mortgage market. Belinda’s expertise provides our clients with the guidance so that they can identify the most suitable lender(s) given the specific nature of their proposal. 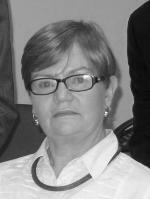 Patrina is responsible for general administration, accounts management. She is extremely personable and manages a number of client relationships. Patrina also provides key supports to the Adviser team. Currently, Patrina is in the final phase of her QFA exams. Keen holiday & travel enthusiast. Loves parties, socialising with friends and family. Most of all, proudly passionate about “Lexie and Riley”, her two dogs. Lisa is responsible for general administration, new and existing business management, managing client interactions and communications. Lisa also provides key supports to the Adviser team. Currently, Lisa is an APA in Life Assurance, Pensions, Investments and Loans. She is looking forward to completing the final QFA exam early in 2019. Peadar likes Leeds Utd, Cinema, General Knowledge & Table Quiz Pundit & loves Leitrim Football.